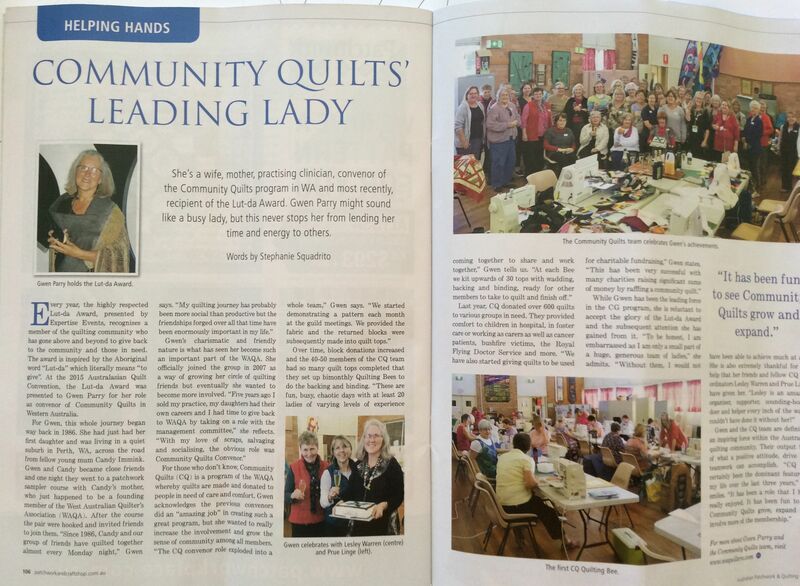 Look out for this Australian Patchwork & Quilting magazine (vol 25 no 5) – a two page spread about Gwen and our very own Community Quilts team! This entry was posted in Community Quilts and tagged Community Quilts. Bookmark the permalink.